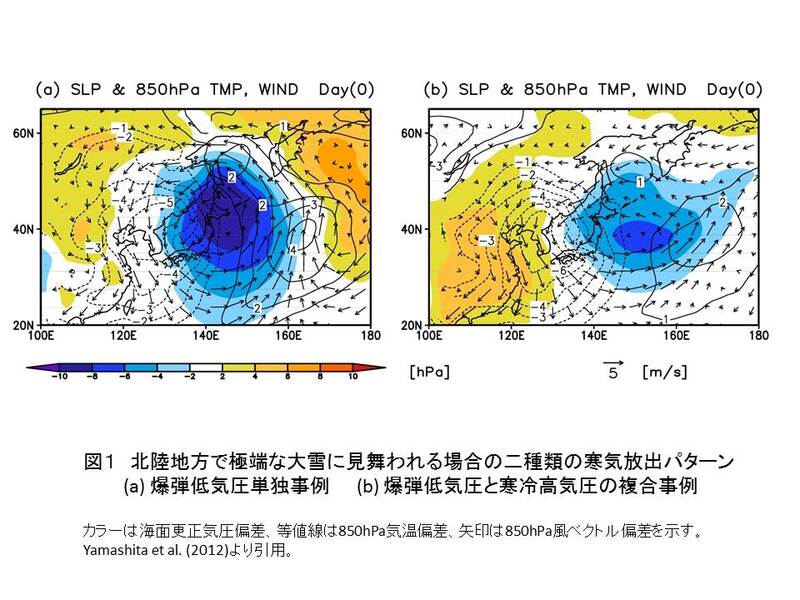 Yamashita, Y., R. Kawamura, S. Iizuka, and H. Hatsushika (2012): Explosively developing cyclone activity in relation to heavy snowfall on the Japan Sea side of central Japan. J. Meteor. Soc. Japan, 90, 275-295.